Hello there loves! I hope you are having a fabulous start to your day! 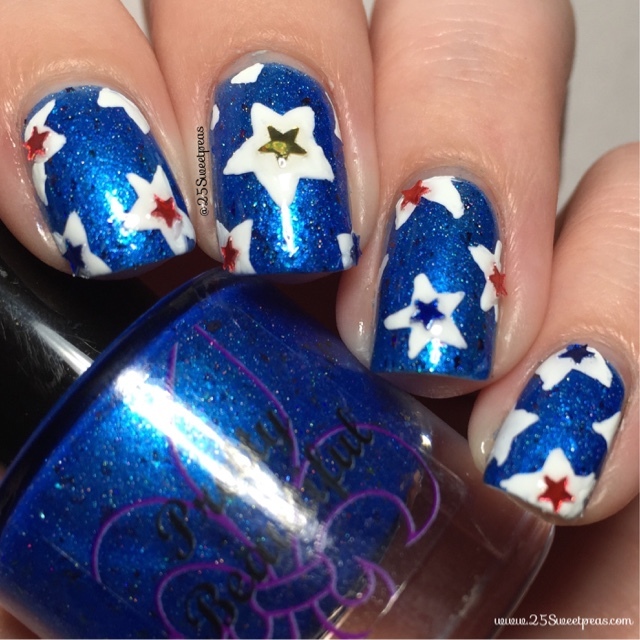 Today I will be starting some swatches for the new Pretty Beautiful Born on the Fourth of July collection, which I am pretty excited about! 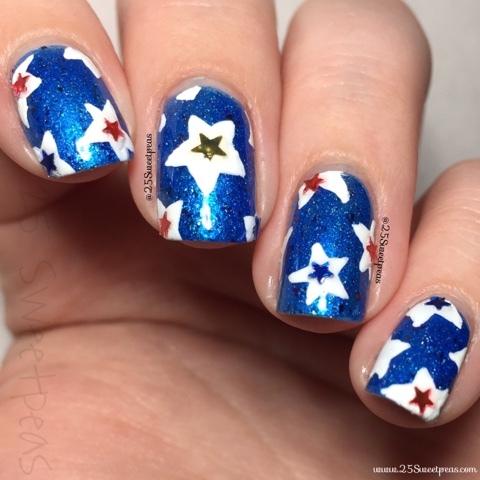 I don't know why but for some reason I really enjoy 4th of July Nails. They are a lot of fun! So any way let's get to the pictures! First up macro shots! 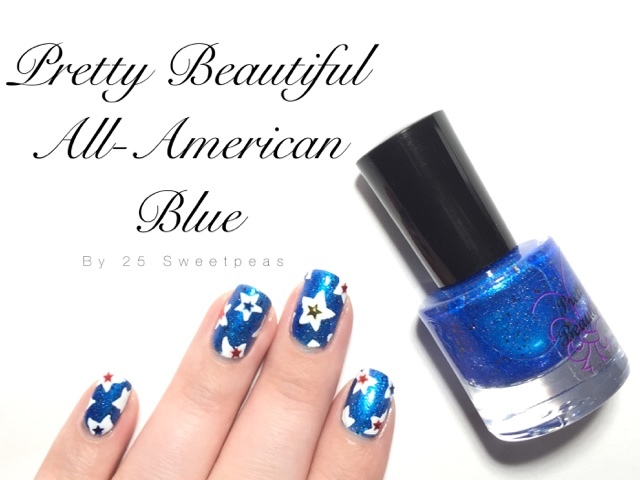 :) This polish is called All-American Blue which is a royal blue crelly base with slight holo, UCC flakies that shift from pink to purple to blue to green and rainbow pearl micro flakies. It's really the perfect festive blue! Now here is the first official swatch photo and this is two coats. The first coat was really good! It was actually really close to being full coverage in one coat but there were a few thin parts so the 2nd was a must. Formula wise it was really nice and easy to work with.